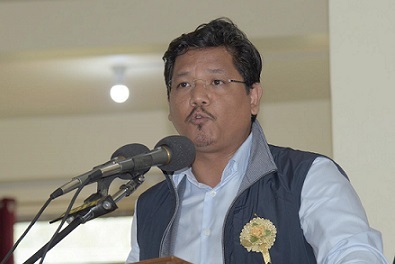 Meghalaya Chief Minister Conrad Sangma announced scholarships worth 95 lacs for 100 IAS aspirants under Chief Minister Career Guidance and Counselling scheme to ALS IAS Institute. (India’s largest IAS Coaching network with 75 centers across India and more than 2600 selections in UPSC till date). National Sales Head Prateek Bhattacharya also announced scholarships worth 45 lacs for 100 students by ALS under the ALS CSR initiative for the youth of Meghalaya. This announcement has now created opportunity for 200 talented, needy and deserving IAS aspirants of Meghalaya to avail of Scholarship worth 1.4 crores for UPSC coaching. Sangma urged the youth of the state to avail this opportunity and make the state proud in the coming years. Prateek Bhattacharya also announced the Mega IAS Scholarship Exam which will be conducted on September 29 at 11am in all districts of Meghalaya under the supervision of the Deputy Commissioner of respective districts to select the top 200 IAS talents of Meghalaya who will be trained at either of the two authorized ALS learning centers in Shillong (Moreau Institute of Integral Training) and Tura (Don Bosco College of Teacher Education) to compete in UPSC exam next year. Sangma also urged the Deputy Commissioner of each district to personally supervise this exam to ensure the top IAS talents of the State come. He also stated that with this initiative taken by the Government it will be reaching out to the most remotest part of the State and attract the Top IAS talents who are needy and deserving and can avail of this Scholarship for their Coaching and be able to produce results from Meghalaya in Civil services in the coming years.